ULYSSES - A Dark Odyssey is an independent film lasting about 110 '. The film is a psychological thriller based on the Homeric Odyssey, but set in Taurus City, a dystopian city in the Europe of 2020. The screenplay was written in Los Angeles by Andrea Zirio, who had the idea of a transposition into the modern key of the Homeric text, Federico Alotto, director of the film, and James Coyne, a well-known Hollywood writer (Sherlock Holmes III, Tekken, Treasure Island, Vikingdom). The film tells of the eternal love story between Ulysses and Penelope but with new and captivating dynamics able to thrill the events of the Greek hero both the younger and the more mature audience. 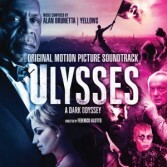 The Italian version of the film features a cast of dubbers of the highest level: Ugo Pagliai for Danny Glover, Dario Penne for Udo Kier, Selvaggia Quattrini for Anamaria Marinca and Adriano Giannini for Ulysses.